When Karl Amundson set out to purchase an engagement ring for his girlfriend, Shan Yao, of Natick, he first thought he’d buy online. He assumed online sites would offer the lowest prices and the best selection. He launched his search, but the more he looked, the less convinced he felt that he should make such an important purchase through the internet. Rather than viewing pixelated images of diamonds and settings, he wanted to see them in person, hold them in his hand, and examine them closely. So, he and Yao headed to the Boston Diamond District. “I think we visited almost every jeweler in the Downtown Crossing area,” says Amundson, who lives in Cambridge. If you’ve got an engagement ring or other fine jewelry purchase in your future, you may be tempted to buy online. But before you do, consider these four reasons to shop in person instead. Conventional wisdom holds that online retailers can offer a better deal than brick-and-mortar jewelers. Maybe that’s the case in areas with few jewelry stores, but not Boston. 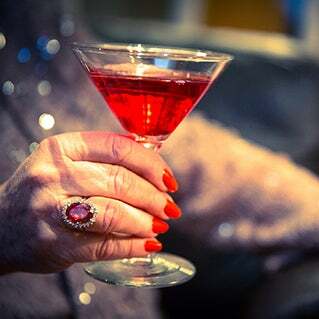 To make diamond buying simpler, the industry devised the 4C grading system that ranks each diamond’s cut, color, clarity, and carat weight. A standardized grading system helps classify diamonds, but it doesn’t tell a stone’s whole story. Two diamonds with the exact same 4C characteristics can actually look quite different—but you don’t know that unless you see them in person. Gann recalls a customer who recently came to the store to buy an engagement ring setting for a diamond he had purchased online. 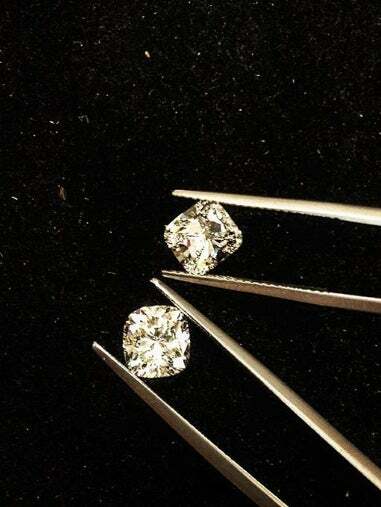 The online diamond had a color grade of “I”, but when Gann placed it next to other “I” diamonds he had, its yellowish/brownish tinge made it look more like a lower-quality K-grade diamond. The customer decided to return the online diamond. Many people who buy diamonds and engagement ring settings have little experience picking out jewelry. An expert jeweler brings knowledge to the process that can help you make the right choices, even when you’re not quite sure which kind of diamond or setting you want. This is especially helpful when you’re picking out a stone or setting for your intended partner. Experienced jewelers like Gann, who grew up in the business his grandfather started in 1933 and has worked at the store full-time since 1996, can give novice buyers the informed assistance they need. Even when customers bring in photos or Pinterest images, they may still not know exactly what they want. Or they may try on what they thought they liked and change their mind. 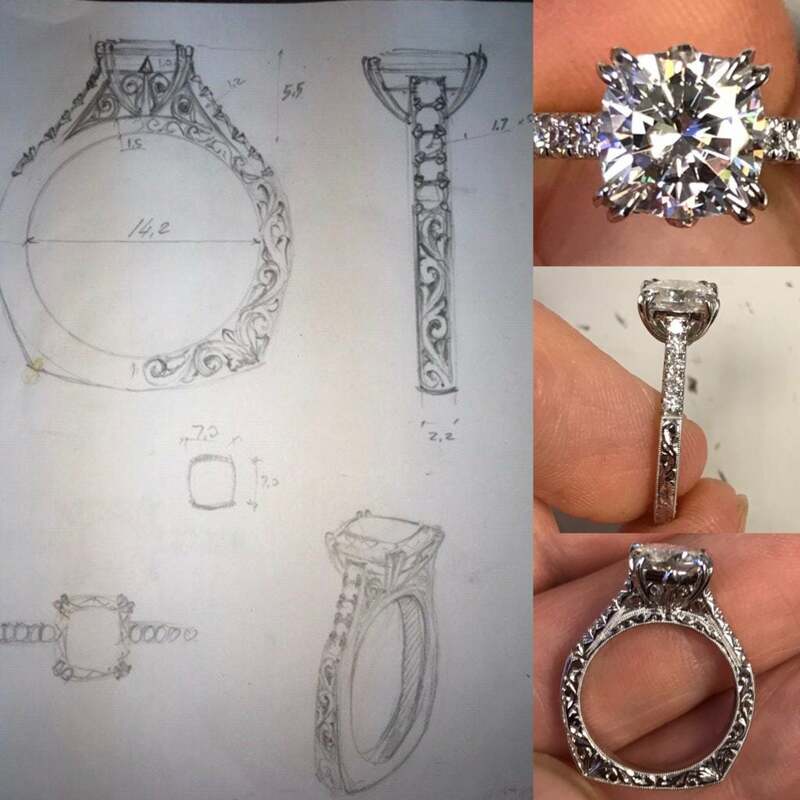 If customers don’t see a setting they like on display, Joseph Gann Jewelers offers in-house hand-made and custom engagement ring design services. Customers can also browse through Gann’s extensive stock of original vintage ring settings dating back as far as the 1920s. Point blank: Jewelers have a special, specific expertise that you can’t find in a Google search. 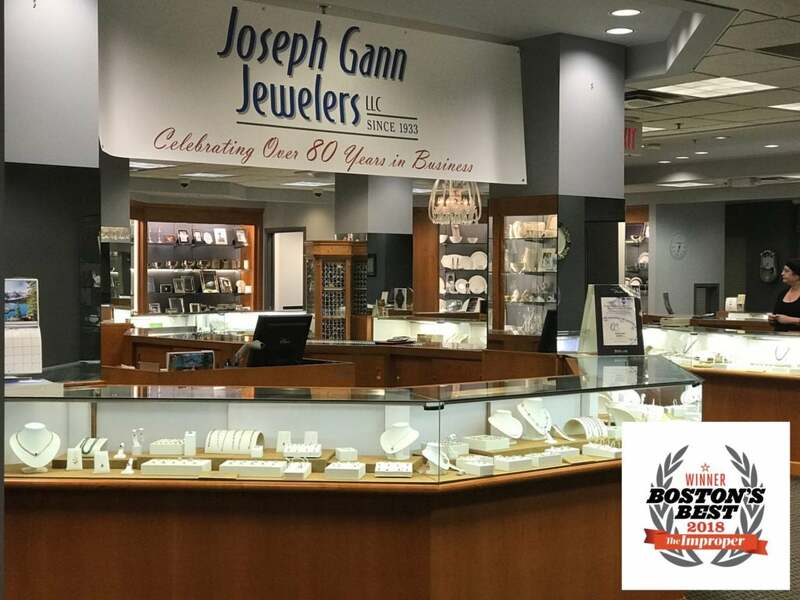 When you buy from Joseph Gann Jewelers, you can stop in regularly to ask questions about your past or future purchases, make special requests, and have jewelry cleaned and the setting checked to make sure the stone is secure. After all, diamonds look their sparkly best with regular care. And if your white gold setting starts to yellow, you can have it recoated.